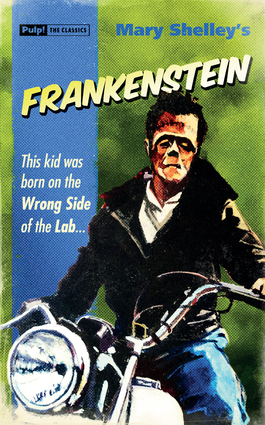 He's big, bad, and ugly, and he really wants a wifeFrankenstein's monster is on the rampage: terrorizing the locals, unleashing murderous hell . . . and reading novels in his spare time. Can his petrified creator stop this reign of horror before his girlfriend gets the chop? Mary Shelley (1797-1851) was an English novelist, short story writer, dramatist, essayist, biographer, and travel writer, best known for her Gothic novel Frankenstein: or, The Modern Prometheus (1818).